Arley Doc M > Changing Room Pack With Blue Grab Rails. 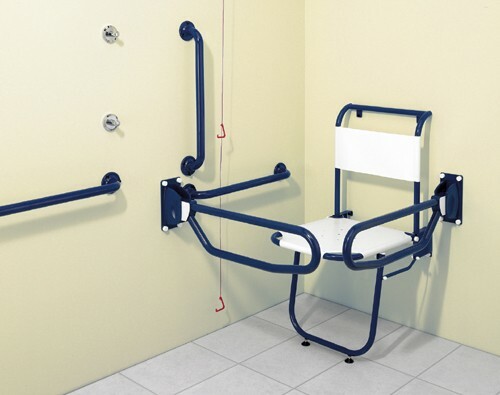 Changing room pack with blue grab rails. One box solution including all components. LANTAC Approved to Document M (Doc M). Adaptable for left hand or right hand installation. Robust fold-up / drop down seat with support leg. 2 x Lockable drop down arms in the upright position. Easy to install wireless alarm system.